Nivrtti Gillett, teacher for The Power of Siddha Yoga Contemplation, has been a Siddha Yoga student since 1988, when he received shaktipat from Gurumayi. He was inspired to study contemplation around that time when he heard Gurumayi say that contemplation is vital for progress in sadhana. Nivrtti has offered fulltime seva since 1991. He has written and taught many Siddha Yoga courses and is one of the foremost teachers of Siddha Yoga contemplation. Nivrtti is currently a teacher in Premotsava, which disseminates the principles of Siddha Yoga philosophy and culture. In this role, he has been a dynamic teacher of Siddha Yoga, engaging students in transformative learning. Through the practice of Siddha Yoga contemplation, Nivrtti says, students discover answers from within which become fully theirs, fully owned by them. In this way, contemplation is a means to ownership of the Truth. Nivrtti′s professional background began with studies in science at Cambridge University in England, after which he studied medicine. He has lectured internationally, specializing in workshops on creativity, intuition, and the optimal use of the mind. 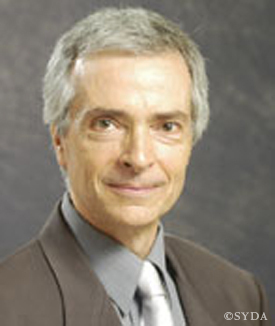 As Dr. Richard Gillett, he is the author of three books and many professional articles.